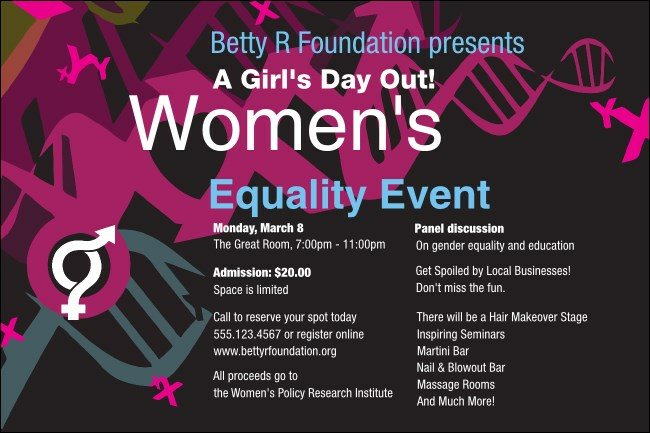 Stand your ground in the fight for gender equality when you print colorful Equality Posters and advertise your next women’s rights event in advance. Help spread the message and teach others to embrace diversity with Posters that feature pink spirals up against a dark background. Keep your promotions diverse at TicketPrinting.com.